It really struck me today when I thought about the fact that it was 17 years ago that I was waiting at the hospital for you to come into this world. I couldn’t get my mind around the idea because for me, in many ways, time has stood still. I don’t know you now. All I know is the loving kid you used to be, and how close you and I once were. Six-year old Lili is the last face-to-face image I have of you in my mind. And I’m still here, in the place that is left behind, nurturing the memories of the only daughter I know — that beautiful little girl who loved her Daddy so much, and who was and is loved by her Daddy back. So I don’t know what or if you think about your Dad too much, but I know I not only think of you — your presence is aways felt around these parts. 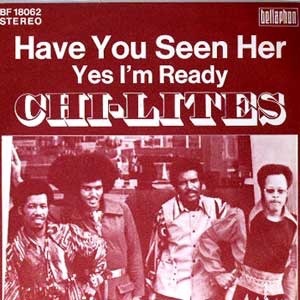 This song, by The Chi-Lites, captures much of the feelings I had after you stopped coming by Higashi-Nakano to visit. I still feel like someday I may bump into you around town, so I guess I’m always looking out for you in a way. Memories are all I can give you now. That and a father’s love, which I hope you someday come to realize.